The concentration of bringing this lovely house back to life this week are the bathrooms. 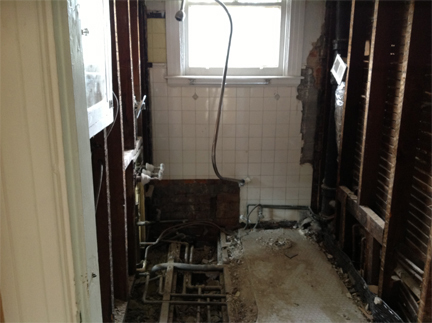 The upstairs bathroom has been completely gutted. We have chosen a marblelized tile for the floor and a wall tile that has nine different, subtle designs in neutral colors. 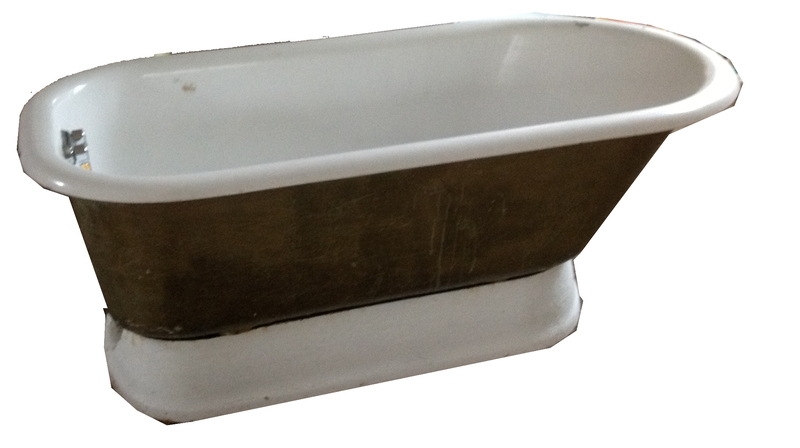 Crossing the fine line between wanting a really modern bathroom, but one in keeping with the turn of the century character of the house, choosing the bathtub was a big decision…and the verdict was a pedestal bathtub. 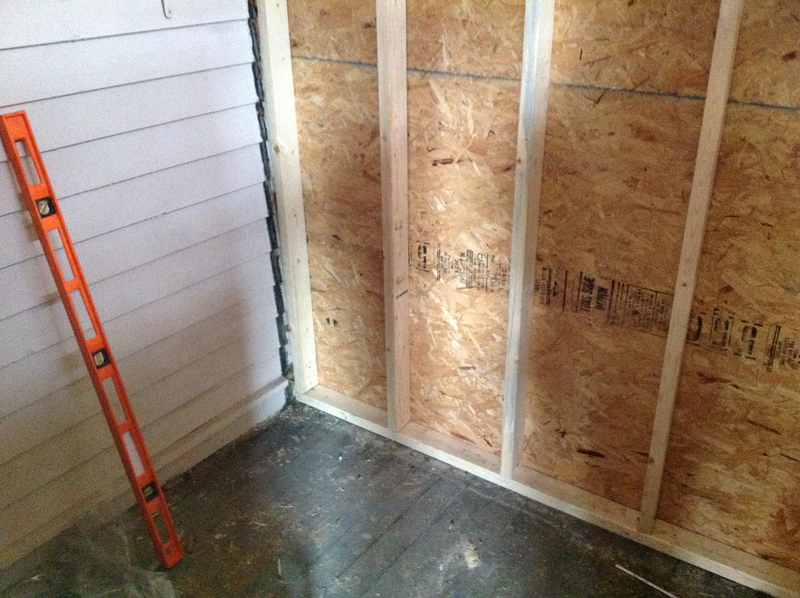 The biggest challenge is the bathroom we are building on the first floor in the space that was once a small porch. 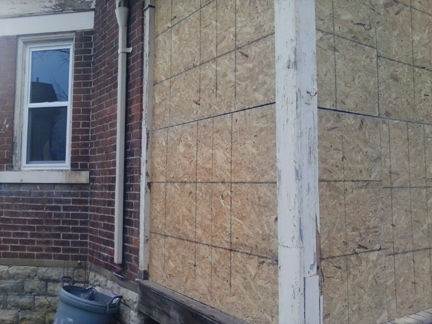 The previous owner boarded up the small porch and used the area for storage. Ugh. We got rid of the old windows, railings, etc. and enclosed the space. Stay tuned to see two beautiful bathrooms –next week, we hope. 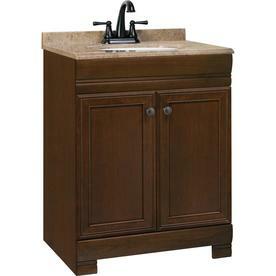 Categories: Uncategorized | Tags: bathrooms, Cincinnati, Madisonville, pedestal bathtub, rehabbing, tile floors | Permalink.